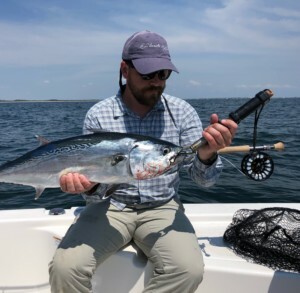 The summer fishing has been great and should remain steady through August with lots of bait in the river and along the coastline. Lots of juvenile tarpon can be found rolling back in the St. Lucie River 7-9am. Getting them to eat can be challenging, but we’ve hooked them on DOA TerrorEyz and shrimp. For flyfishing, try throwing the Midnight Magic, puple/black, or chartreuse clousers and zonkers with intermediate or sinking line. If nothing else works, try free lining live shrimp on a circle hook. Theses 10-30 lb. tarpon can also be found at the inlet. The larger tarpon can be found at the Crossroads, inlet, and beaches early morning. Try pitching live mullet 9-12”, greenies, pilchards, or threadfins. 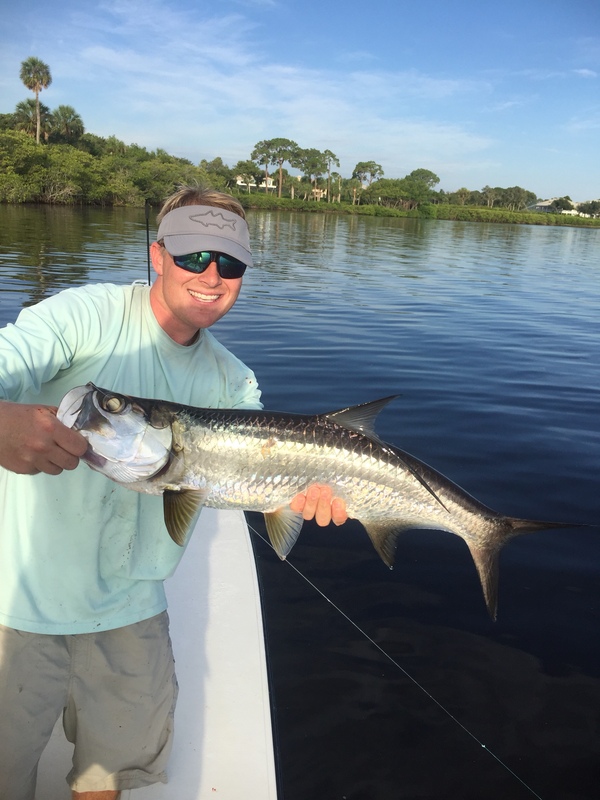 After an early attempt at the tarpon, there’s allot more to try in August. 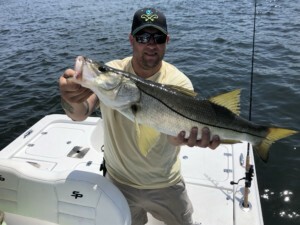 The snook are piled up at the Inlet spawning but are out of season, catch and release with caution. Some good methods at the inlet are Giles Jigs, Yo-Zuri Crystal Minnnows, DOA jigs, live pilchards, and live shrimp. 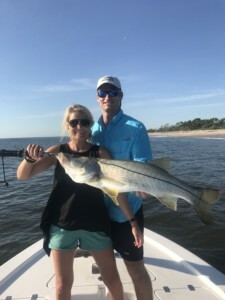 Simply look for any spots that snook can get out of the fast moving current around the rocks and Jetties. The ocean has been glassy calm, so we’ve been going out a few miles to the “Sandpile”, Bullshark Barge, and other spots to try for cobia, snapper, kingfish, bonita, and more. There’s plenty of bait there as well to catch with sabiki rigs. Slow trolling live bait on a weighted “fish Finder” rig has worked great for kingfish, cobia, and bonita. We use different size weights ½ to 2 oz to fully cover the water column while slow trolling. Of course we always leave one on top with no weight. Pitching chunk bait while slow trolling will attract the fish more as well as dragging a chum bag. The mullet run typically starts in September, but can show up early in August. It’s never too soon to cruise the beaches in the morning looking for big schools of finger mullet with a tarpon feeding frenzy. Also chased by snook, jacks, and sharks.